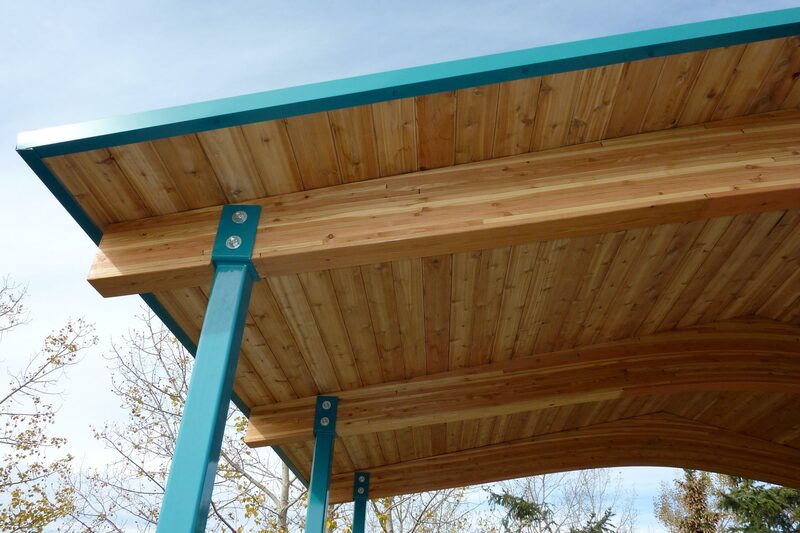 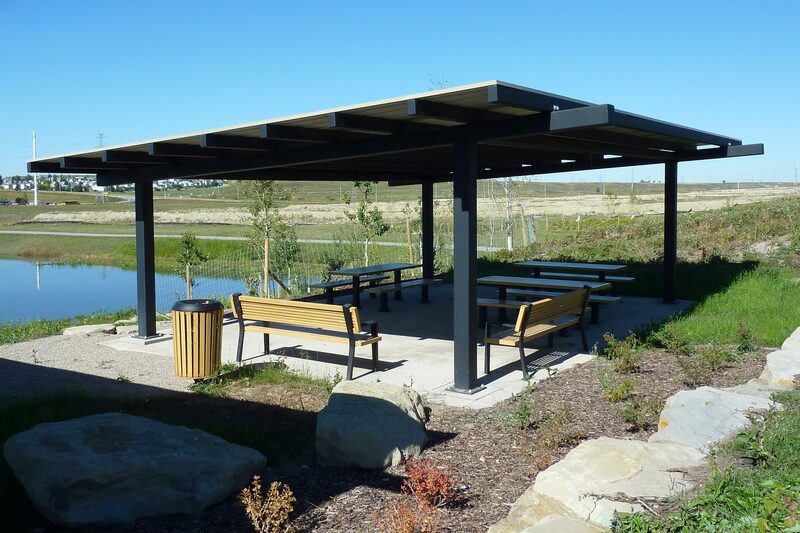 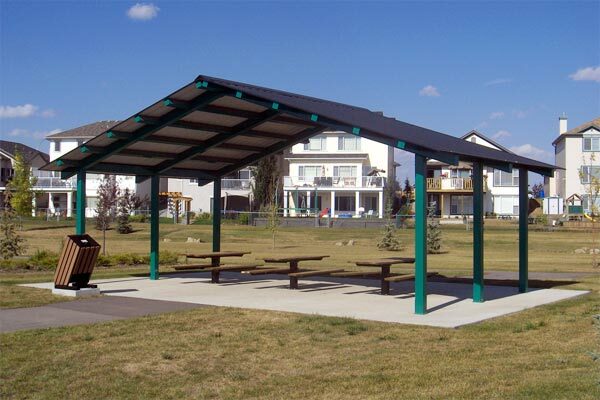 Our fully engineered Picnic Shelters feature a gable style roof with exposed beams and purlins. 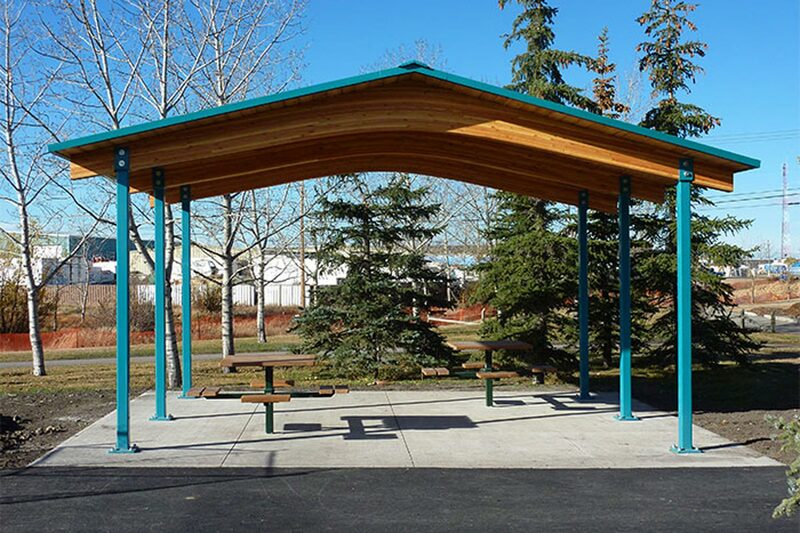 Great for large gatherings, our classic picnic shelters are available in a steel design or with laminated wood beams. 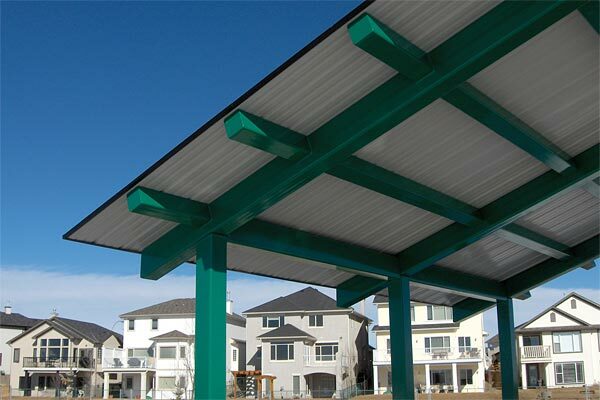 Roof material options include pre-finished metal panels, cedar shakes or asphalt shingles. 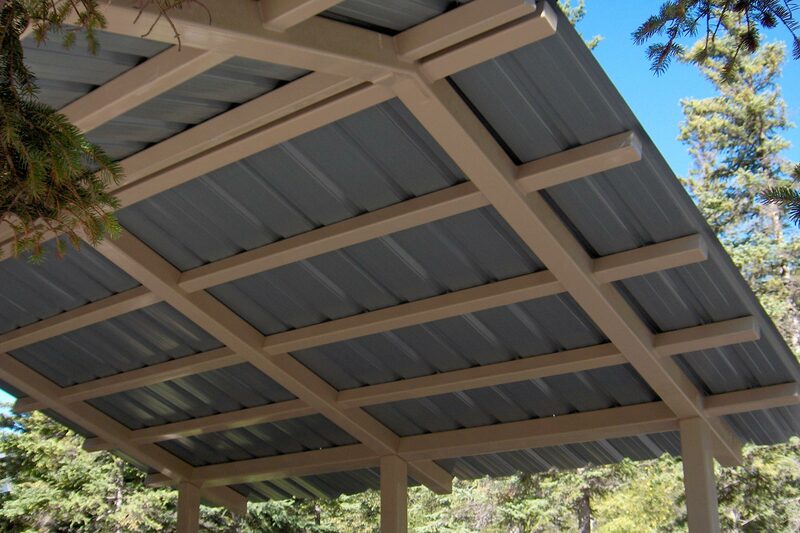 This durable, pre painted, roof system comes in a wide range of colors. 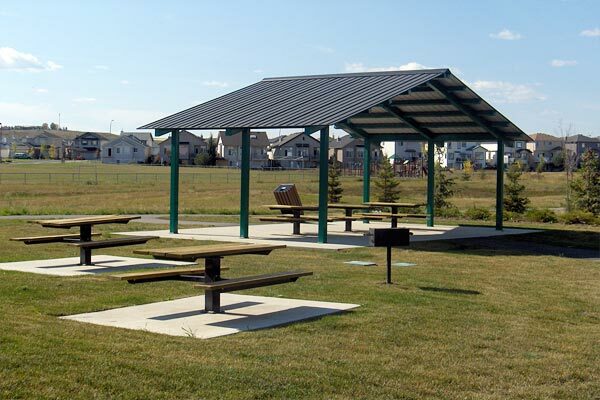 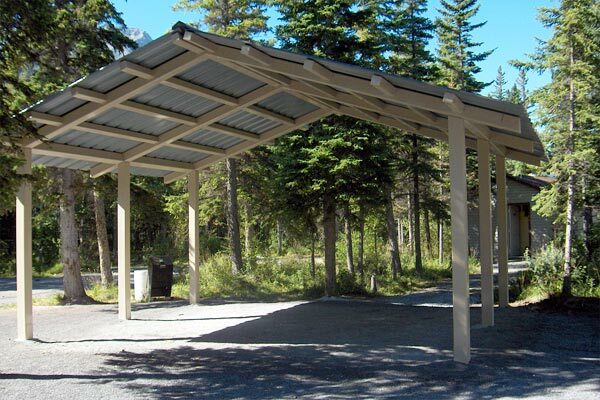 The metal roof system is designed to attach directly to the metal beam picnic shelter frame.